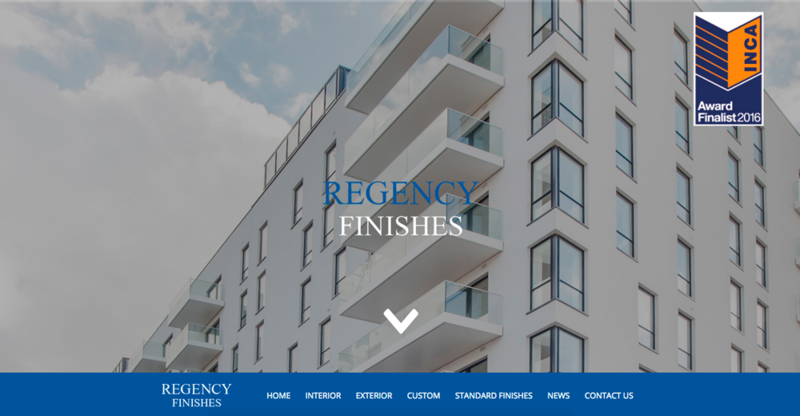 This week's website of the week goes to Regency Finishes. Regency Finishes specialise in decorative and architectural finishes for Interiors and Exteriors. Project Manager Natasha started by creating a fully responsive website, using full width panels and a large feature slide show. The website uses the clients brand and colour scheme. The collage style layout on the home page is easy on the eye and clickable for people to navigate. 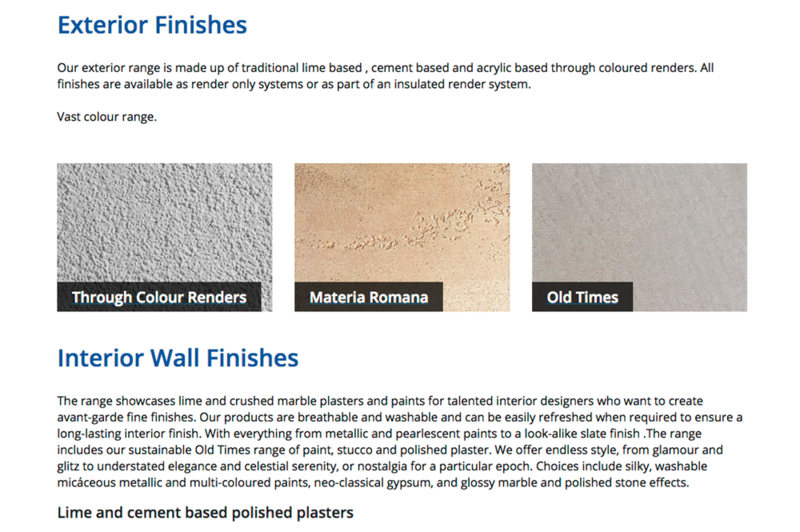 The website features a strong colour scheme using blue with neutral white and light grey panels to compliment. With website designs like this one, the images can dominate due to being in colour so a neutral colour scheme throughout helps this. The website features a website form for people to fill out for enquiries, meaning that it's easy to get in touch with the company and to get information back about any requirements or needs. The contact page is usually the place people will go to in order to get in touch so it makes sense to provide a contact form if you don't want to give out the business email address. However, some people opt to put the phone number, email and a form as an alternative contact method and so that people can leave a more detailed enquiry. Each page is easy to access and navigate using the menu. The pages have a fairly but effective layout, and each one is accessible via the home page collage boxes or the blue menu bar. The website passes Google's mobile-friendly test with flying colours, meaning that the website is responsive to the device it's being viewed on. This is a must when it comes to people viewing the website on the go! There are a number of things websites must have in order to pass the mobile-friendly test, and the responsive nature to it, is one of them. This project was one of our redesign projects. This means that the client already had a website built and designed by us, but came back to get it modernised and updated. One of the main aims of this website was to make it mobile-friendly meaning that people viewing it on their tablet, phone or laptop have the same experience and are able to use each of them with ease of use.